You can usually pick out a Leo woman from a crowd - she’s the one with the loudest laugh, the brightest smile, and the most confident strut of them all. Ruled by the Sun, the center of the universe, this feline sign adores attention and usually gets it. She is passionate, playful, and very lively. Occasionally hot-tempered, a Leo woman can and will get those claws out if you step out of line, so handle Kitty with care! When in a fiery mood, she is best soothed with compliments and spoiled with gifts. The lioness is intelligent, witty, strong and creative, which is why there are so many Leo women in the arts and entertainment industries. Many Leo women like to spend money on physical things which can be noticed. Flashy clothes, expensive cars, designer jewelry and accessories, etc. Generally if someone isn’t going to be jealous of it then she wont buy it. Mean and cruel acts are generally beneath them, however they can be very aggressive and confrontational at times. They forgive easily however, and generally don’t hold a grudge. Leo-Woman and Aries-Man - This relationship displays strong bond with two strong individuals. Aries and Leo may share same amount of enthusiasm and energy if they are buddies or colleague. They will also like each other’s company due to their similar personalities. The Ram can have tough tasks to complete if Leo is in charge for every next thing. They can have huge problems with each other as both of them are dominating and can’t stand with their competition. Leo-Woman and Taurus-Man - Both seek security and honest relationship. They also show good understanding in most of the bond which they share. Taurus may find Leo people to be little over reacting while Leo may find them rigid. Still they find it working due to stability and admiration shown by them. 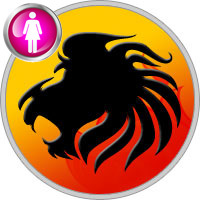 Leo-Woman and Gemini-Man - They can easily get into several relationships. They both can be fun loving and cheerful to each other. They may also have respect for the kind of bond they share among them. Leo is dominating and seeks admiration from their partner. This is the place where Gemini can fall short. Leo-Woman and Cancer-Man - Cancer symbolizes the water while Leo symbolizes the Fire. They both are very far from living together. There are many differences in their behaviors and their natures. Cancer may find Leo to be very arrogant while Leo may find Cancer to be moody. They will need to accept their differences and try to live with it. Leo-Woman and Leo-Man - This relationship means clash of the two big egos. Two Leos share same characteristics and thus their opinions and personalities might match with one another. They may also share same interests but problems can arrive when it comes to leading their relationship. They may also fight for credits. Leo-Woman and Virgo-Man - Both show much different characteristics. Virgo‘s way of treating the world is just opposite to what Leo has. They will have to put lots of efforts to maintain this relationship. Only one positive thing about this relationship will be that Virgo will never mind Leo bossing around them. If they can show enough patience for one another then they both can have good relationship ahead. Leo-Woman and Libra-Man - Both are friendly and caring in nature. Thus they both can have cheerful and lovely relationship with one another. The only problem in this relationship is that Libra wants to do everything together while Leo prefers to do it solely. Leo-Woman and Scorpio-Man - This relationship is a combination of two strong and stable individuals. They both are passionate and honest lovers. Together they can achieve anything they want but this is not possible due to authority problems between those two. They both are rigid and can give good competition to each other. There can be frequent conflicts or distrust in this relationship. Leo-Woman and Sagittarius-Man - Both share same amount of enthusiasm for each other in all the relationships they share. They may have initial sparks between them but as relationship proceeds Sagittarius may show lack of interest for Leo. This can hurt the faithful heart of Leo. Leo-Woman and Capricorn-Man - The characteristics of Leo and Capricorn people differ from each other. Leo people find Capricorn people to calm and unemotional while Capricorn people may find Leo people lazy, unrealistic and less practical then themselves. But they also find some points interesting in each other like, Leo like the witty nature of Capricorn while Capricorn likes the energetic and intelligent personality of Leo. Leo-Woman and Aquarius-Man - Both show characteristics which are just conflicting to each other. But the same qualities can also attract them to each other and bring close to them. Leo people are often selfish but the Aquarius people are selfless in nature. Still they can maintain their relationship in decent way. Leo-Woman and Pisces-Man - Relationship is neither interesting nor boring. Leo woman has big social network while Pisces man wants is friendly and helpful with others. Leo woman is dedicated person while Pisces man wants to be with everyone. There are some differences in their thinking and personality which brings frequent ups and downs in their relationship.